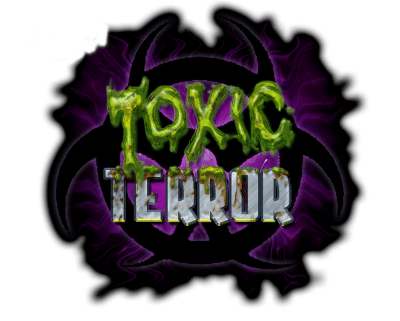 Deadly Rats… Lethal Spiders… Mutated Workers… All have been changed into your worst nightmare because of the leaking and spilled toxic sludge. Wind your way through an underground system of maintenance tunnels that have been illegally used to store toxic waste for years. Beware the creatures residing here for they are extremely hungry! Will you make it out alive… or will you be the next to mutate… and never come out again? Finally, many years after exploring the tomb of the architect, Khepri-Nekhekh, and suffering through the Mummy‘s Curse, several scrolls were discovered lost within the tomb and have been translated by our researchers. These scrolls revealed the location of a lost temple and it was revealed within these walls that a high-priestess of the temple, Neferanubis, was entombed within the sanctuary. You’ll explore with an interactive flashlight experience. Come ride through Capital Regions most intense haunted hayride. As darkness falls on Field of Horrors in the Capital Region, zombies, killer hill billies, vampires, and chainsaw wielding mad men come out of hiding. The Trail of Terror navigates you through acres and acres of mayhem and carnage. Come see why Farmer Dave and his wife never leave the safety of their farmhouse once the sun goes down. This land becomes a living nightmare after dark. . . . Full of horrific sights. An experience and thrill you won’t forget. Weave and wind your way through the deep, dark catacombs of your own demise. 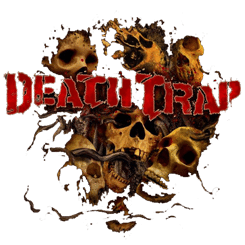 Deathtrap forces you underground to become part of a world that not many see, but its protectors aren’t so inviting. Can you find your way out, or will the ground above bury you alive? Confusion. . . disorientation. . . perplexion. . . puzzlement. A few senses that will overcome you during your time here. Fear doesn’t only affect you, physiologically, it can also cloud your judgment. The group becomes tense, the leader falls back from frustrations, the alpha male becomes hostile, the group is no longer calm. Will you and your friends be able to handle the sense of the unknown? The most intense, high tech, mind boggling attraction you have yet to experience. Come see why everyone is being pushed to the brink of INSANITY.